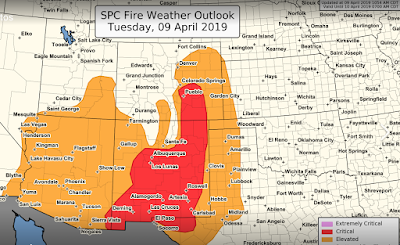 Here is today's forecast of wildfire danger. 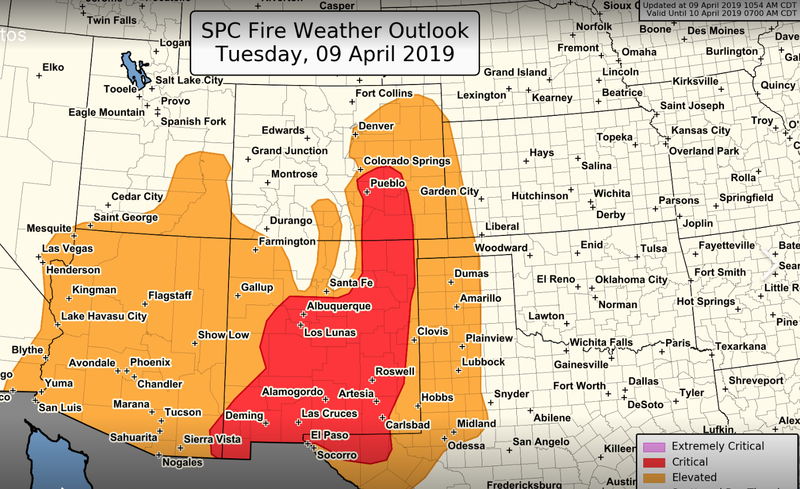 Tomorrow could be a terrible wildfire day. 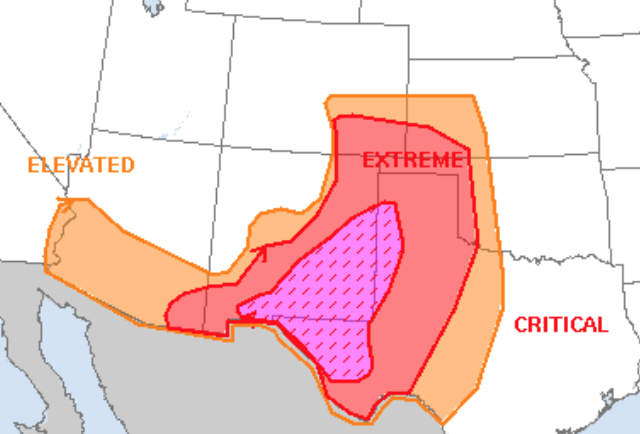 The purple hatched area is deemed "extremely critical." There is a high risk of major wildfires. Please use great care to keep a fire from starting.